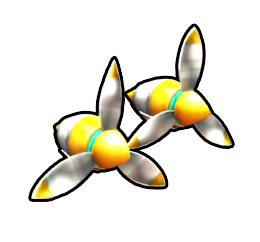 The Dash Propeller is an item found in Mario Kart Arcade GP DX. In the game, the player can use the Dash Propeller to gain a temporary speed increase without having to mash a button. This page was last edited on June 24, 2018, at 11:41.